It’s been a few weeks since I shared an adoption update, so I thought today would be the day I would share what has happened since then. While I would love to share that we are in the middle of getting our home study done, or that it is finished, or better yet that our profile was picked and we would potentially have a new baby in a few short weeks, this is sadly not the case. However, a few things have happened in the last few weeks. 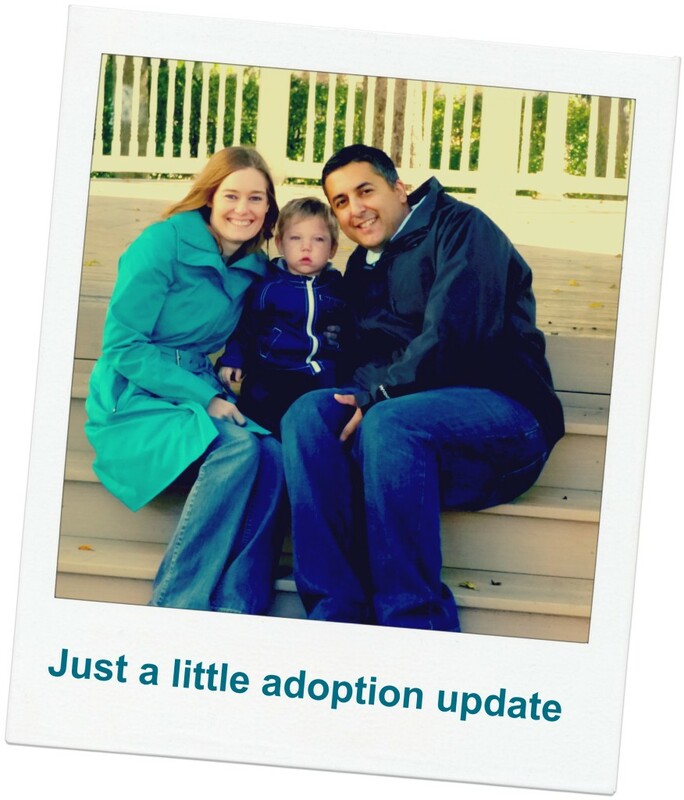 The first news we have is that we heard from the adoption agency that we applied to. We are officially approved and #5 on a waiting list that they will draw from when they open new spots for waiting families. As I have said before, it could be 6 to 18 months before they will even do our home study and put our profile into the pool. (The agency only placed six babies last year and have almost 20 waiting families). In my last update, I shared about our curiosity with a Kidsave program. Through this program, we would host an older child or sibling group from Columbia for four to five weeks in the Summer. The goal of this program is to connect Columbian orphans with hopeful adoptive families. With a series of events that happened (more on that later), and much prayer, my husband and I decided this is not a path we will take. In addition, I also shared in that update that we would be looking for alternate ways to connect us with potential birth families. After a little research, we found two agencies that will help facilitate the adoption. I am still researching both, looking into reviews, references and asking tons of questions so that we can make the right decision. Finally, since we have no idea when the adoption agency we applied to will start our home study, I have continued to look for a different one. I found two out-of-state agencies that are accepting waiting families and have strong potential. My husband and I are weighing our options and praying about them before we make any decision. Will you join our family in prayer as we desire to grow our family? Here are some ways you can pray for us as we wait! This entry was posted in Adoption and tagged Adoption, praying, waiting to adopt. Bookmark the permalink. Just popped by from Jen’s at ‘Finding Heaven’, so nice to find your blog and wishing you all the best for the adoption adventure ahead of you. Looking forward to hearing more of your story. Waiting is so hard. I just prayed for you. I will be praying for your family! Some friends of ours just went through the same thing and now they have their baby (but the whole waiting process was really hard on them) <3 and prayers! Thank you Julia! The waiting is not at all easy, but we sure learn a lot from it. Hi! I just found you via Titus 2 Tuesdays @ Cornerstone Confessions. I just wanted to say that I will be following your adoption journey. I very interested to see what the whole process really is, because we’d like to adopt as well sometime in the future. I am adding you to my prayer list Christie! Hoping you are blessed with a child soon! adoption is a crazy process! My husband and I have been pursuing it through several channels for the past 7 years! I know! We are living in HOng KOng and tried adopted through the local system here, which was a matching panel… you may never get chosen and after waiting a long time we are now adopting through an international program to china. Its more of a guarantee but a long wait. We are hoping within the next two year… Will be interested to hear how your journey progresses! Oh goodness! I don’t know if I could wait 7 years!! I always say adoption is not for the faint of heart. Thank you for following along with our journey! Praying that you will have wisdom as you are researching the options! !